Established in 1995, Abacus Automation has proven itself as one of the top Siemens system integrators of PLC and Motion Control Solutions. 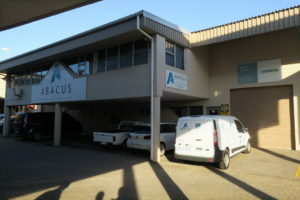 The company’s head office is based in Kwa-Zulu Natal, South Africa. Projects done in South Africa and internationally have amongst others given us top expertise in chemical reactor plants, motion control drive applications, GPRS telemetry and OEM solutions. Abacus Automation completes about 50 projects a year. Projects vary in size from S7-1200 micro PLC applications to multimillion rand projects involving large drives, multiple PLC’s, SCADA and IT components. As a member of Siemens’ global solution partner program Abacus Automation has been involved in dozens of joint venture projects with Siemens as well as the development of new products for Siemens AG. Innovative software and innovative use of automation hardware has been the cornerstone of our reputation. 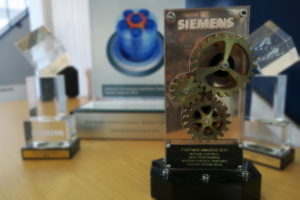 Abacus Automation has received many accolades from Siemens including several awards for best project as well as the most innovative project for four years running (2004 – 2007). These awards are presented annually by Siemens South Africa and take into account hundreds of projects done by over 40 system integrators including Siemens project division. In driving our innovation into the future Abacus Automation has become Siemens’ first Motion Control Cranes solution partner in Africa, adding to the existing solution partner portfolio of Automation System Simatic, Human Machine Interface Simatic HMI, Micro Automation, Drives & Motion.